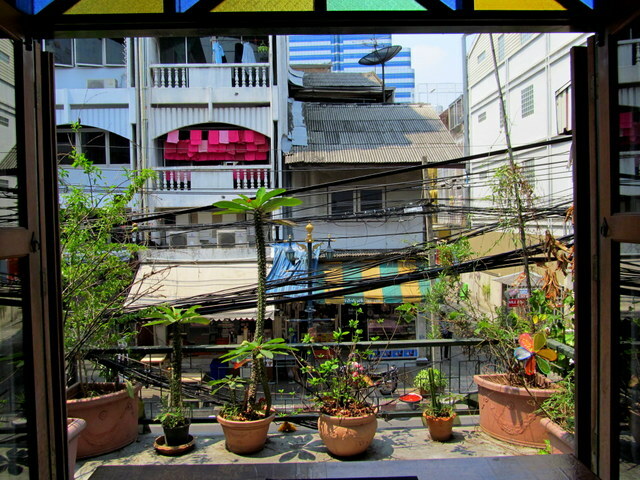 Most travelers who arrive in Bangkok typically have an itinerary that includes sights such as Wat Pho, Chinatown, Chatuchak and the Floating Markets, and Kao San Road; most likely Siam Paragon or Central World for a few days’ worth of shopping too. But I like to do things differently. 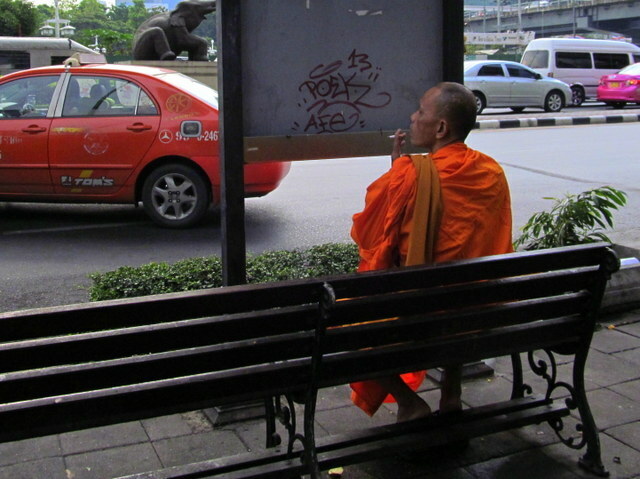 I go off the beate n track, whenever possible – even on pilgrimage to Bangkok. 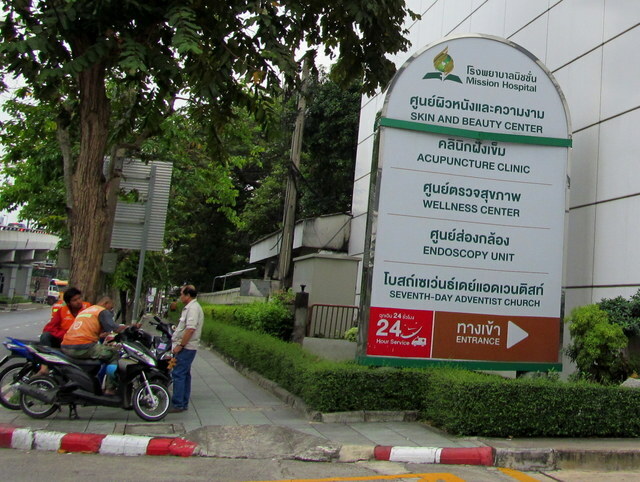 So perhaps it’s not altogether surprising that my itinerary this past week, while I was in Bangkok, included the following sights: hospital, hospital, embassy 1, hospital, embassy 1, hospital, embassy 2, and hospital 2. Not your typical tour guide’s schedule, and no souvenirs. Unless a print-out of all fees and charges levied counts. 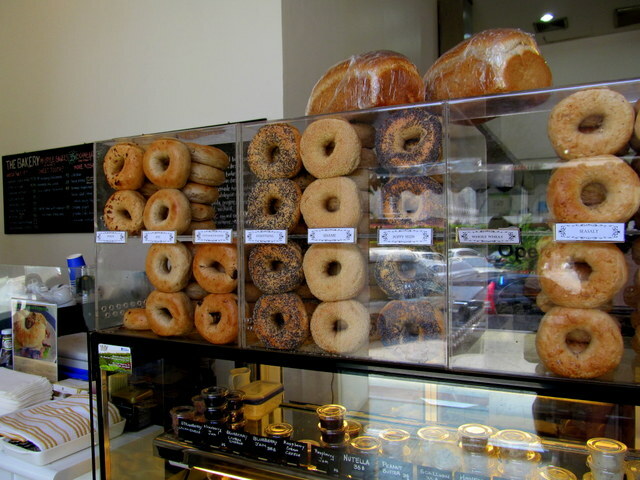 Ok, to be fair, I did manage to see a few friends, eat Thai street food and bagels (having taken the city by storm! 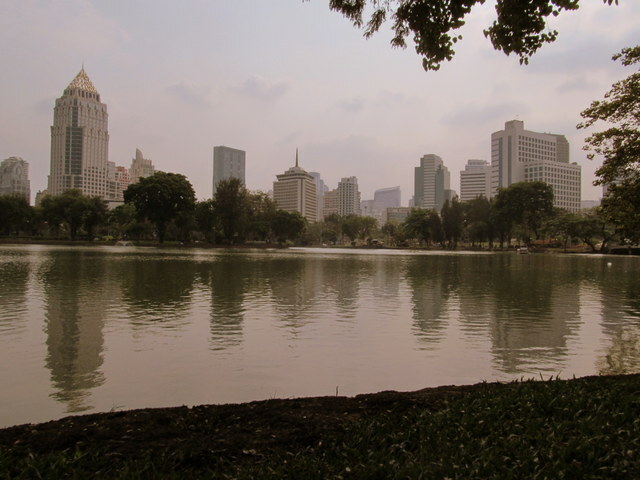 ); I also managed to fit in a movie and a few visits to my favorite oasis in the city: Lumphini Park (aka Bangkok’s version of Central Park). But truth be told, I was on a mission: medical checkups, treatments and whatever else had to be done. 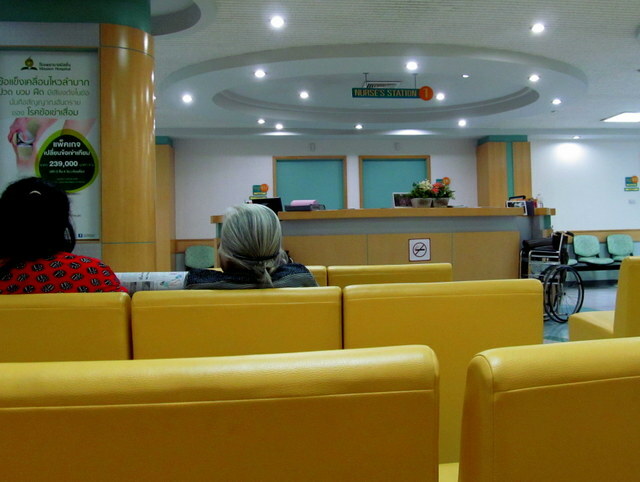 And so, what better place to spend most of my week than at the oh-so-aptly named Mission Hospital. Far from the madding crowds of Kao San Road, in fact far from any foreigners’ presence (evidenced by the blatant absence of 7-11s and Starbucks in the neighborhood), this hospital has a church on the grounds and, more pertinently for me, an American physician on its staff who had been recommended by friends living in Bali. 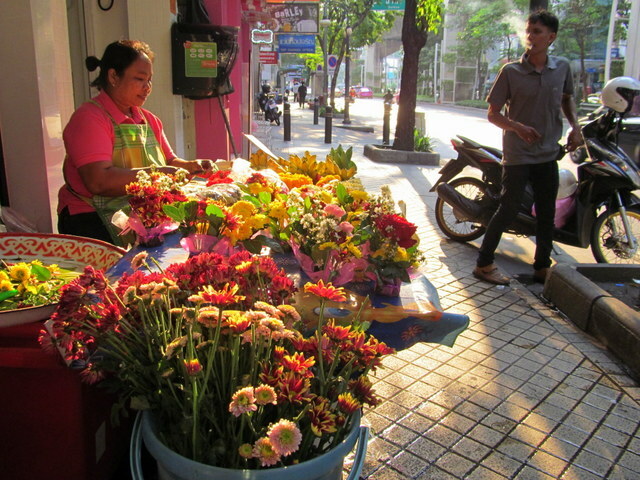 Thailand is well-known for having among the cleanest and most efficient set-ups for foreigners se eking to undergo full-body medical checkups (understandably attracting throngs of medical tourists). Everyone is in uniform: Reception staff look like flight attendants and nurses wear their hair up in perfect buns with white caps that harken back to the last century. But don’t be fooled: flat screens and the latest hi-tech gadgets and screening methods attest to the fact that these institutions are very much attuned to this era. At Mission, the central wing functioned like a factory and I (though a humanoid), was placed on the assembly line of appointments, shuttling back and forth between offices; often with the assistance of a ‘service guide’ who would lead me to the next appointment. 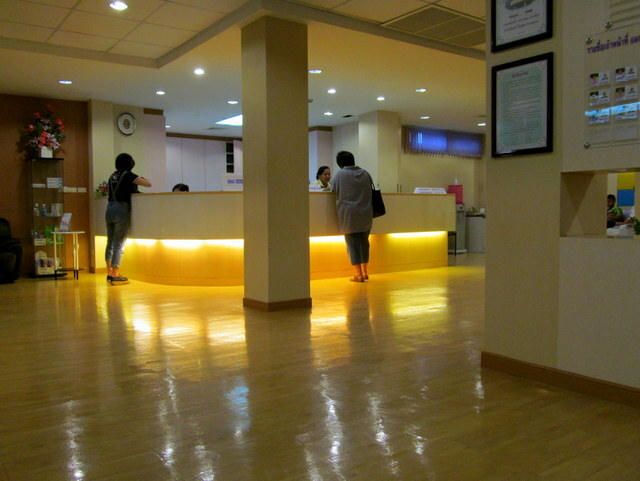 It was like a double decker pinball machine; my file and I arrived at the 2nd floor eye clinic (ping! ), walked back downstairs to the dermatologist’s office (ping! ), then was asked to return to Dr N’s office (ping ping!). I stuck to the schedule: I was poked and palpated; weighed and blood-pressured; biopsied, ultrasounded and x-rayed (much to my dismay). Fluids came out, sutures went in. Needles and other instruments a familiar sight, as did blood and paperwork. Slowly but surely, within a few days, I was getting through the checklist of appointments that Dr N and I had set out. There were some bumps – including a meltdown in Dr N’s office due to a number of reasons, mostly a melange of pain, misu nderstanding, frustration – and being charged for an unnecessary (and unasked for) appointment. It was a busy and grueling week – but clear that it all (or most) had to be done. 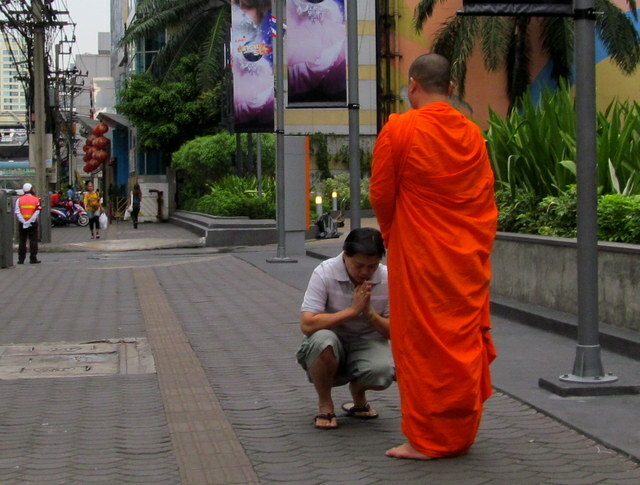 What a blessing then, that I could find sanctuary, most days, close to where I stayed (in Silom), at Lumphini Park: watching old men doing tai chi and playing chess, younger men in shorts and singlets pumping iron at the outdoor gym, security guards doing their rounds on bicycles, people coming out for aerobics class and swan-shaped pedal boats gliding by on the water. The sounds and smog of the city, even though quite close in proximity, faded almost magically into the distance until I could barely hear the urban hum. In retrospect, perhaps this schedule, jam packed as it was with all things allopathically medical – was just my official itinerary. But it could be that the true reason underlying this trip – my main mission – was to connect again with friends and nurses (who’d supported me when I convalesced there post-accident); indulge in noodle & veggie soup; walk about and lay on the grass in the park – watching life, at all ages and stages, as people jogged, ran, walked, danced and passed me by.